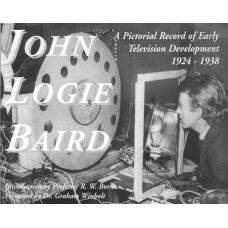 Baird JOHN LOGIE BAIRD A Pictorial Record of Early Television Development 1924-1938. 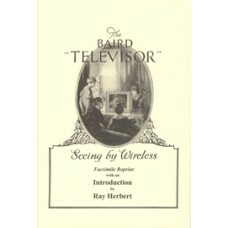 Baird THE BAIRD 'TELEVISOR' Seeing by Wireless. Facsimile Reprint with an Introduction by Ray Herbert. 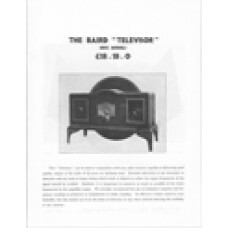 Baird Televisor Ltd THE BAIRD TELEVISOR (Disc Model) Facsimile reprint of this 1931 instruction booklet. BARNOUW (Erik) TUBE OF PLENTY The Evolution Of American Television. BARNOUW (Erik) THE IMAGE EMPIRE A History of Broadcasting in the United States, Volume III - from 1953. BARNOUW (Erik) THE GOLDEN WEB A History of Broadcasting in the United States, Volume II - 1933 to 1953. BARNOUW (Erik) A TOWER IN BABEL A History of Broadcasting in the United States, Volume I - to 1933. BOYLE (Andrew) ONLY THE WIND WILL LISTEN - Reith of the BBC. BRIGGS (Asa) and Joannna Spicer THE FRANCHISE AFFAIR Creating fortunes and failures in independent television. CAIN (John) THE BBC: 70 years of broadcasting.